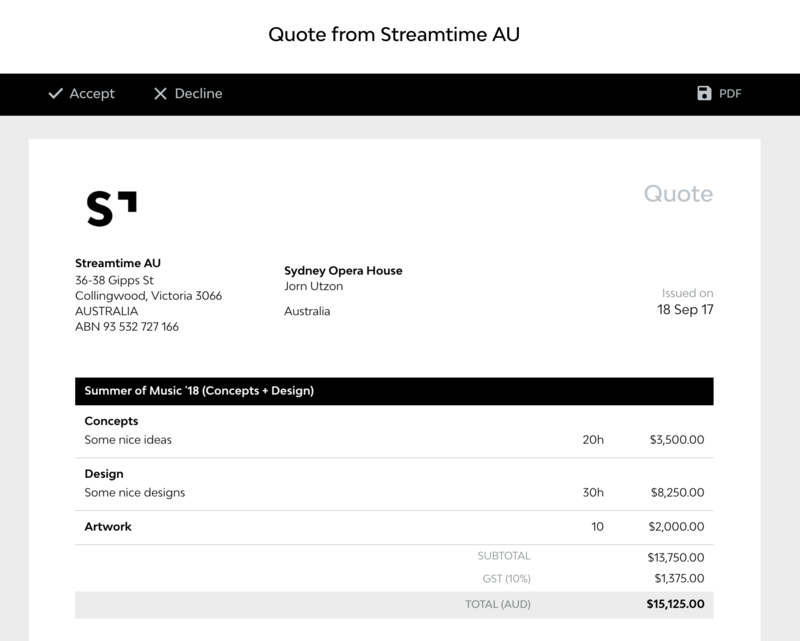 Create quotes, send them to clients, get them approved, and create budgets in Streamtime. We created Streamtime with automation in mind, and in light of this have simplified the quoting process by adapting quotes from your job plan. Once you have created your job and begun planning, you can turn this plan into a quote by hitting Create Quote. You'll notice that fields are able to be edited directly on the quote, allowing you to make any necessary adjustments, quickly and cleanly, prior to sending. You can send your quote to clients directly from Streamtime by clicking Send Quote, or by downloading the quote as a PDF and attaching this PDF to an email. When sent directly from Streamtime, your client will receive a link to the quote, where they can then Accept or Decline it. Otherwise, you can do this manually using the Approve and Decline buttons within the Quote. 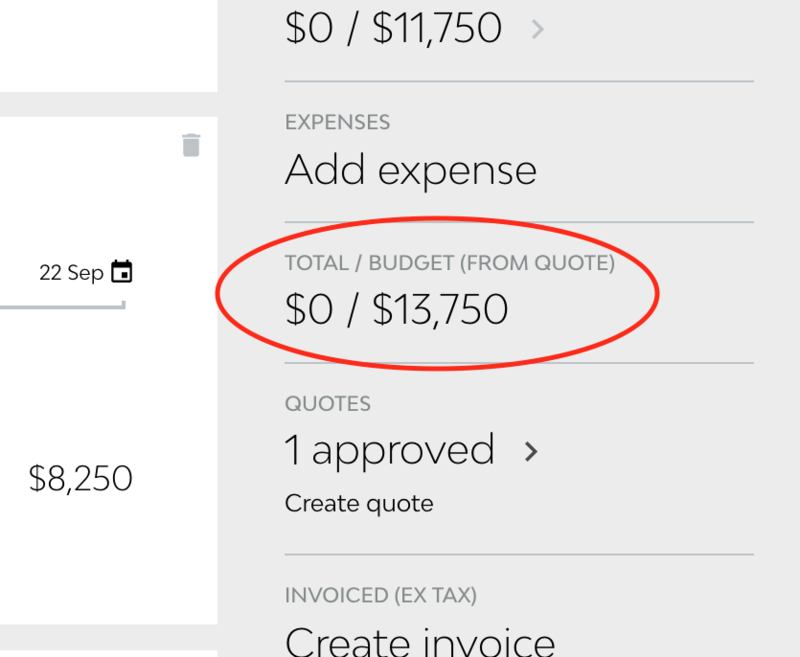 Streamtime Expert Tip: When a Quote is approved the quoted figure becomes the budget on the job. This way, you'll be working towards the figure that your client expects to pay, and the figure that you expect to be paid by the client at the end of the day.